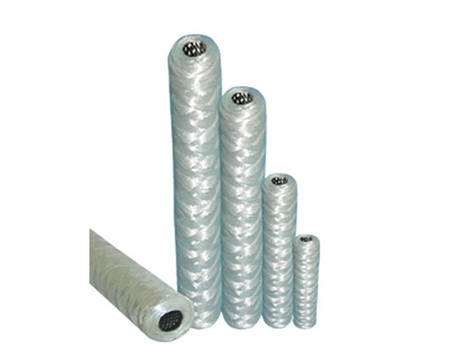 Wound Cartridges are widely used as Pre-Filter for Economical Filtration. We provide it in different media and core for Chemical Compatibility. Media options: Polypropylene, Cotton, Glass-fibre & Polyester. Core options: Polypropylene, S.S. 316, S.S. 304 & Tin Steel. Computer Controlled Wounding Pattern used for Longer Life of the Cartridge. Wide range of media used for longer life of Final Filter. 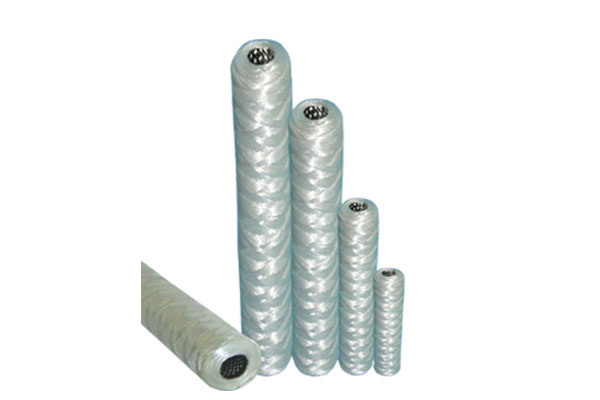 Available in various size of 10", 20", 30" & 40" with micron Ratings of 0.5 micron to 150 micron. We are the leading manufacturer of Wound Filter Cartridge. Techno-Filt International is reputed Supplier of Wound Filter Cartridges in Ahmedabad, Ankleshwar, Baroda, Mumbai and Mumbai etc. cities of india. If you want to buy then contect us for free catalogue for Wound Filter Cartridge.